Since the beta version of Six Degrees of Francis Bacon (SDFB) debuted in September, users have been joyfully exploring early modern social networks with the interface’s easy-to-use tools and color-coded illustrations. The much anticipated launch opens up The Oxford Dictionary of National Biography in a new way, allowing users to focus on relationships as much as the individuals involved in them. 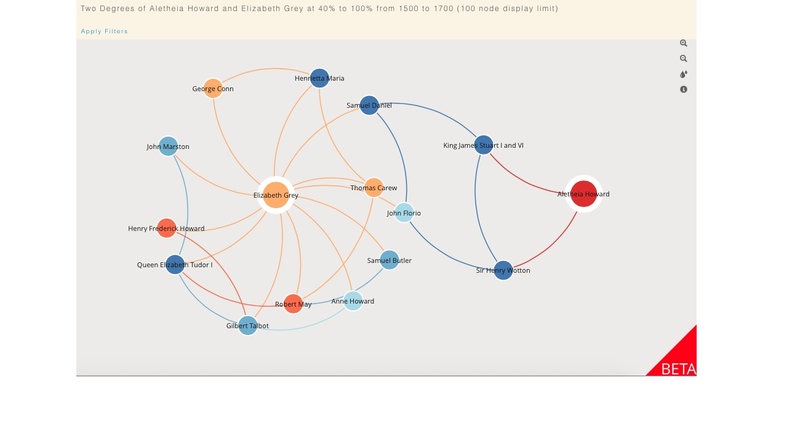 SDFB’s visualization tools map social connections running through English society between 1500 and 1700, hinting at how ideas and influence traveled within the larger culture. In short, SDFB is a fantastic new means of tracking the people involved with early modern recipes. 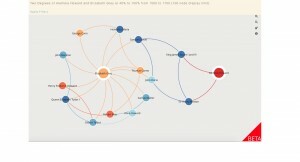 While the ODNB routinely names a person’s associates, its entries cannot fully show how those connections linked individuals together in wider networks. Reading that Elizabeth Grey, Countess of Kent – whose famous “powder” appears in scores of recipe books (11/02/2014)– traveled in the same circles as John Florio, Samuel Daniel, and Queen Elizabeth I, for example, is impressive, but her social network becomes even more intriguing when we can see how she can also be linked to not just Queen Henrietta Maria, but the cookbook author Robert May (21/12/2012). Her entry in the ODNB doesn’t tell us that. SDFB’s usefulness for less prominent recipe writers, however, is currently limited, largely because only 6% of the people included are women. In addition, a name needs to appear five times in the ODNB subset of 13,000 entries in order to be represented in SDFB (See the Help page). As Project Director Christopher Warren outlines in a forthcoming DHQ article, the digital tools used to extract names from these entries cannot always pick out individuals when they’re identified solely by title or relationship. 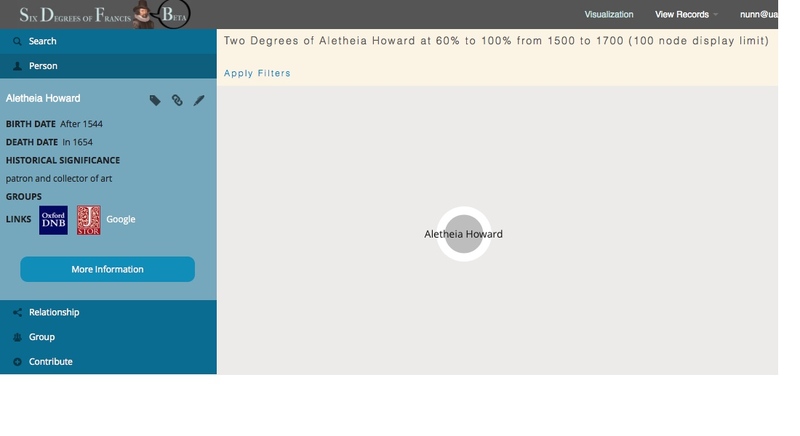 As a result, Elizabeth Grey’s SDFB network does not reveal a direct connection to her accomplished sister Aletheia Howard, countess of Arundel when I initially called it up; instead, it shows Howard and Grey as linked only through male associates (who are not family members). 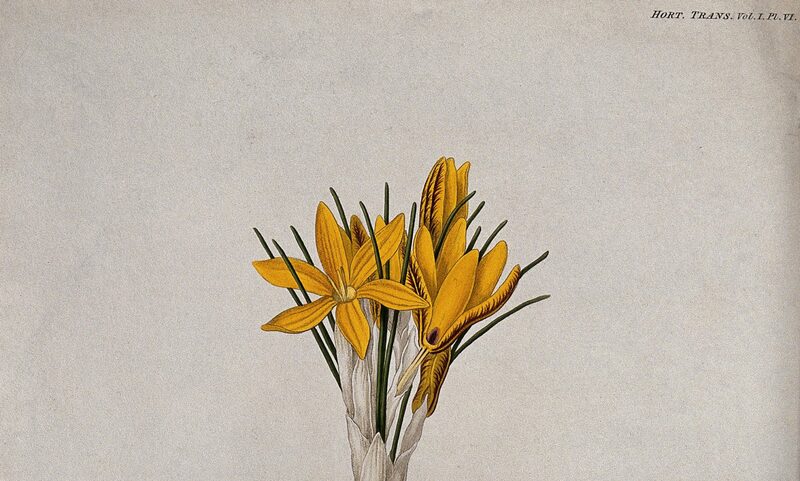 Adjusting the level of certainty, however, yielded two direct connections, to King James I and Sir Henry Wotten, and a slew of secondary connections. This underrepresentation of women is a concern to SDFB’s makers, who already have plans to help rectify the situation, and their beta encourages users to add relationship information through the “Contribute” button. In fact, I’ve already added the Grey-Arundel connection, and a few others, and the process is straightforward. All that is required is that users create a free account and supply a reference for their addition. So, while the SDFB may not currently represent all the relationships recipe readers want to know about, it can in the future. As Warren points out in DHQ, the immensity of the SDFB project means that it can never be as detailed as smaller scale efforts humanists might undertake by hand, but these large and smaller projects can improve one another. SDFB already serves as a valuable tool for envisioning the networks that early modern writers operated in, and will only grow more useful, with our help, in the months and years to come.